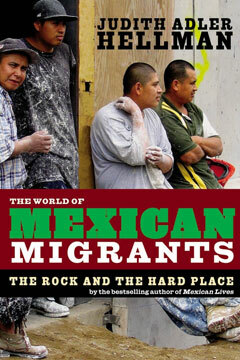 Hellman takes us deep into the sending communities in Mexico, where we witness the conditions that lead Mexicans to risk their lives crossing the border and meet those who live on Mexico’s largest source of foreign income, remittances from family members al Norte. We hear astonishing border crossing tales—including one man’s journey riding suspended from the undercarriage of a train. In New York and Los Angeles, construction workers, restaurant staff, street vendors, and deliverymen share their survival strategies—the ways in which they work, send money home, find housing, learn English, send their children to school, and avoid detection.